We’re a lean and agile app studio based in Bangalore, India. We work with some of the best startups and enterpise companies to develop quality mobile applications. In this blog, we publish articles on what's happening in the mobile app space, our experiences, industry trends and best practices when building mobile products. Check back often, and subscribe to our blog to get regular updates. Click here to subscribe. That time when your phone buzzes indicating you’ve got a new email or a new WhatsApp message or saying that there are new episodes available for your favorite show on Netflix – everyone using a mobile phone knows about push notifications, we generally call them app notifications or notifications. These are these instant popup messages that apps use to send microcontent to their users. 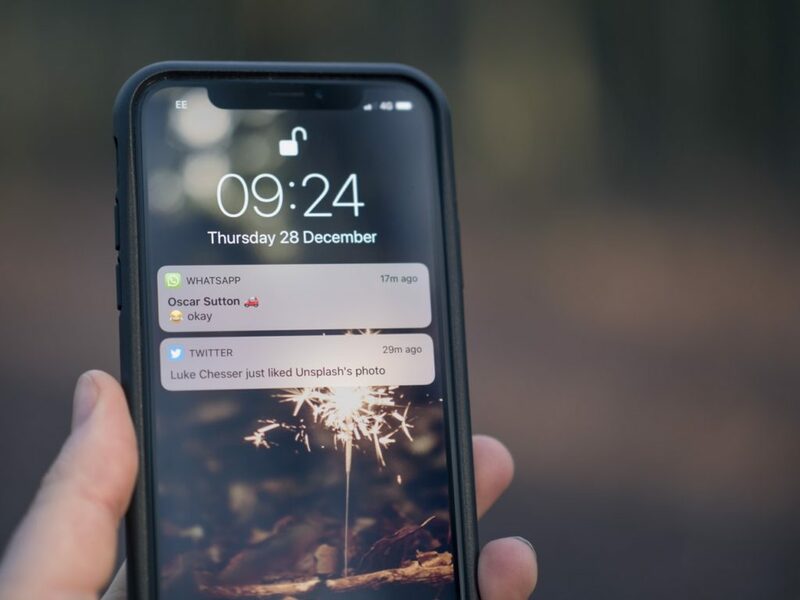 Interestingly, mobile phone users’ tend to pay attention to notifications as they just pop up even when the app is not running or even if the user may not be using the app actively. On the other hand, many users do get frustrated by regular notifications if they are very useful to them and may uninstall or stop using the app altogether. 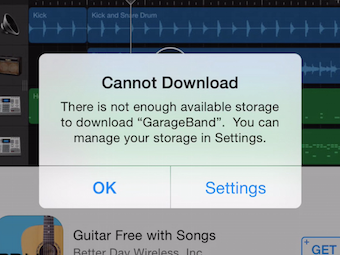 If you have an app in the store, you probably already know a lot about these notifications. You probably might have triggered a dozen of them already using one of the modern tools like Google Firebase or OneSignal. Well, push notifications are more powerful than email, since there’s almost no friction for the users to check these notifications, a click on the notification banner would lead them to launch your app or a relevant screen in your app if you did a good job building the app right. However, the important thing to understand about notifications is when should you trigger them for your app so that they help the user and create more engagement with your app, rather than actually hurting the users. Posted in Consumer, Mobile Application Development, Mobile Apps, Strategy, User Experience and tagged growth strategy, Native Mobile apps, user engagement on April 5, 2018 by admin. With our experience in the mobile space, we see a lot of ideas floating in the market. Everyone has ideas for custom mobile apps, some of them are really innovative and potentially could be the next killer app if executed well. To execute a mobile app idea well, we have put together some basic strategies and pitfalls to avoid. Building a custom mobile application is a lot like a flight from JFK to SFO. Building mobile applications can get complicated quickly if features are not prioritized according to business end goals. In the mobile industry, specially today more than yesterday, technologies change rapidly. Having the right strategy from the beginning is important, taking a wrong strategic step could steer your flight in the wrong direction, not that it can’t be steered in the right direction again but not without spending more time and money. Posted in Idea to App, Mobile Apps, Product Lifecycle, Strategy, Whitepapers on July 11, 2017 by admin. 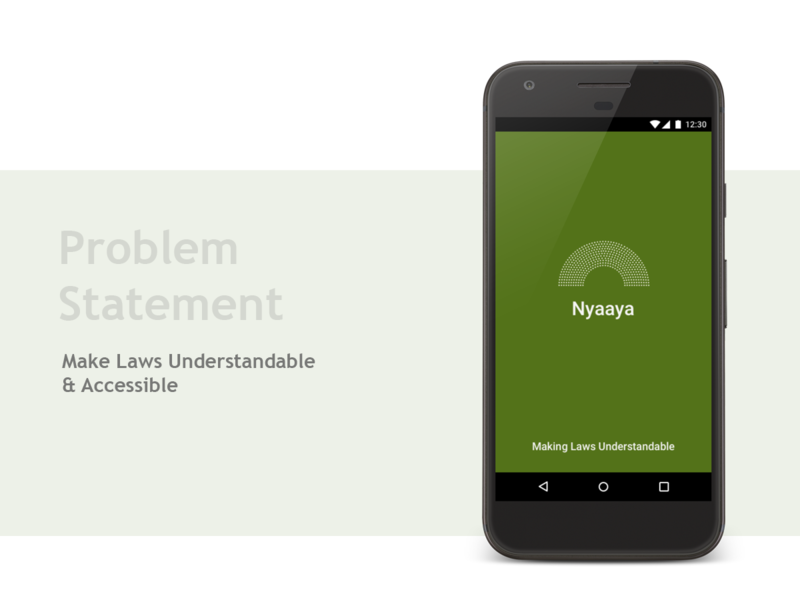 Nyaaya is a non-profit venture with a mission statement to demystify indian laws. Their team approached us with a crystal clear problem statement during a hackathon. They wanted to make Indian law more understandable and accessible to the common man. We set out to design and develop a mobile application as a solution to their problem. Mobile devices have truly become a commodity today and almost every person has access to it. Here is how we approached the user experience and development of the app. Posted in Case Study, Consumer, Mobile Apps, Product Lifecycle, Strategy, User Experience on April 28, 2017 by admin. App Audit – Optimize your mobile apps today! So you have an app in the app store and are struggling with app installs, user signups, app engagement, active user counts and conversions? Have you put yourself in the shoes of an actual user that fits the target audience and used the app? You will be surprised to realise how you can have a completely different perspective in many situations. It’s natural for someone who is close to the product to not notice obvious work-flow issues in your app. Perhaps your app just needs a better Onboarding? Let’s do an app audit to identify key areas of improvements in your application. What is an App Audit? App audit is a (timed) activity during which experts (in product strategy, design and development) do a thorough analysis of your app. This analysis is then used to make educated guesses (based on facts, research and data) and recommendations to optimize or tweak your app experience. This would help you identify positives and negatives of your app for a potential end-user. Posted in Consumer, Mobile Apps, Product Lifecycle, Strategy on April 25, 2017 by admin. Orai app team got in touch with us to develop app experience for their speech training artificial intelligence module. They were pursuing an interesting idea to solve a basic problem that many people have viz. fear of public speaking. Stripped down to the core, they wanted to build an app that would serve as a personal speech coach which would give positive reinforcement and real time personalized feedback as you practice your speech. Posted in Case Study, Consumer, Mobile Apps, Product Lifecycle, Strategy on April 20, 2017 by admin. You’ve got a good service to sell and are looking for the best ways to connect and engage your potential customers. Reaching out to them through mobile devices becomes an obvious choice due to the ubiquity and easy accessibility of smartphones. Unfortunately, the mobile world is cluttered. Effectively reaching out to them thus means not just connecting with them, but also providing them with the best user experience possible. A research study conducted by Oracle best validates this. The study found that nearly 55% of millennials say a poor mobile app experience would make them less likely to use a company’s products or services. One of the long-standing debates that has emerged in an attempt to provide mobile users with a great user experience is the one between the use of HTML5 apps and native mobile apps. HTML5 / Hybrid or Native mobile app? On the face of things, the HTML5 app or hybrid mobile app seems like easiest option for a company. What you have is one app, reaching out to consumers across different mobile platforms. This obviously means faster go-to-market times, lesser effort and lower costs. This may sound perfect to your business head who more often than not will give you a deadline of ‘yesterday’ to complete the task of making a mobile phone application. The downside that comes along with this however is a HUGE compromise on user experience. HTML5 or hybrid apps may actually prove to be useful if you already have a website and are just looking for a presence in the app stores. While these apps are useful for small scale projects that need to be developed rapidly, most brands cannot afford to risk a compromise on user experience for the sake of speed of execution. A native app on the other hand is great because it involves the customization of the app to suit a particular operating system. This approach helps in providing users with the best possible user experience in terms of adaptability, layout, navigation, structure, interactivity, branding and feedback. Even the most accomplished user experience designer will not be able to develop an app that caters to both iPhone and Android users, as they both have very different style guidelines that come with their own set of advantages. Posted in Mobile Apps, Strategy and tagged HTML5 apps, Hybrid apps, Native Mobile apps on December 1, 2016 by admin. Many organizations look to build brand awareness or usability of their service or product through mobile apps. Some of them succeed in doing this effectively by relying on the virality factor. Users want to willing share the app or it’s content over the internet, with their social networks and even offline with their friends and family. Thus building the brand of the organisation and attracting thousands of potential customers to the the original service or product. In very successful cases, where the apps are designed and developed in the right way, the brand building is so effective, that they cannot be achieved alternatively given sky-high marketing and advertising budgets. Posted in Consumer, Mobile Apps, Strategy and tagged app releases, growth strategy, mobile product, viral mobile apps on November 15, 2016 by admin. What is the right time to release an app update? Mobile applications have become the first point of entry for a lot of new and old consumer services and products. Many popular technology, operations and finance companies have their mobile apps in the app store and are constantly innovating and redefining the way in which their business operates. What does this mean to the end user? Well, the end users’ life becomes easier as these services become more accessible and economical due to innovative ways of doing business. Few of the top players are going all-in on their mobile apps, with ‘mobile first’ or even ‘mobile only’ strategy for introducing and shaping their consumer offerings. Many interested users have easy access to WiFi and have auto-updates turned on, but majority of them don’t. With this in mind, it becomes important to answer how often should these businesses release an app update — should it be every week, fortnightly, monthly or more. Posted in Consumer, Mobile Apps, Product Lifecycle, Strategy and tagged app releases, app updates, mobile app updates, mobile product on June 22, 2016 by admin.